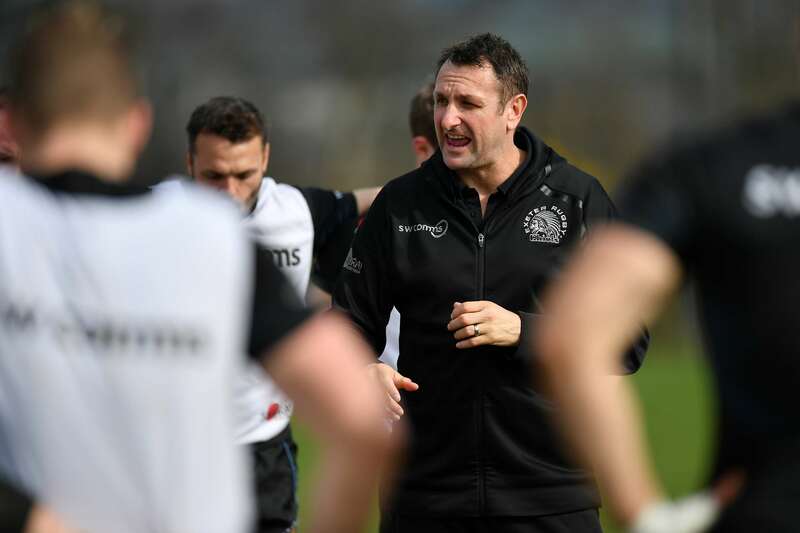 Exeter Chiefs may have guaranteed themselves a home semi-final in this season’s Gallagher Premiership play-offs, but head coach Ali Hepher insists there will be no let-up from the Devonians over these final few weeks of the regular season. Despite booking their place in the last four of the competition in record time, Hepher insists the Chiefs still have numerous targets to hunt down over these final few weeks of battle as they look to get themselves in prime condition for the knockout phase. “There is still so much to play for over these last few weeks,” he said. “It’s not just about spots within the side, there are also a few other challenges we’ve set the guys to go after. Right now, it’s not massively important if we finish top or second, but getting that home semi-final was crucial. For Exeter’s Premiership rivals, that’s an ominous warning being sounded out by Hepher, who will have been hugely impressed by the way the Chiefs dismantled Leicester Tigers 52-20 on their own patch. The seven-try haul accrued at Welford Road certainly showcased the ‘all-court game’ the Chiefs now possess and Hepher is looking for more of the same against Wasps at Sandy Park this Sunday (3pm). Over the years the Chiefs and Wasps have engaged in some titanic on-field tussles, most notably the Premiership Final two years ago, where an extra-time penalty from Gareth Steenson ensured Exeter of their first-ever top-flight crown. Not surprisingly, the Chiefs see little reason to tinker too much with their winning formula for Sunday’s clash. The back division remains untouched from a week ago, whilst up front it’s merely a case of squad rotation in the front-row with international trio Ben Moon, Luke Cowan-Dickie and Tomas Francis replacing Alec Hepburn, Jack Yeandle and Harry Williams. The settled look to the home squad will certainly help continuity within the ranks, but Hepher insists home advantage will also play it’s part, particularly as three of Exeter’s last four games in the season, will be staged at Sandy Park. “Home advantage definitely helps,” he continued. “We have been good here for a while now, but equally we’re good going away from home. When we looked at the fixture list, we knew this last block was stacked with home fixtures, so we’ve got to use that advantage, knuckle down and don’t take our eye off the ball. It’s a message that has been hammered home all week in training to the 23 selected for duty on Sunday, as well as those who are helping to prepare the team for battle.